NEON ALERT!!! I've got my first neons of the season to show you all!! Don't worry, you won't be overwhelmed. My Indie Polish only made a trio...the Neon Festival Trio to be exact. She wanted to focus on a few colors instead of going crazy with an entire rainbow assortment. She got these so right, you won't find yourself missing anything. Yeah yeah yeah, I know...stop talking and let me see the pictures! I'm done...go look for yourself! 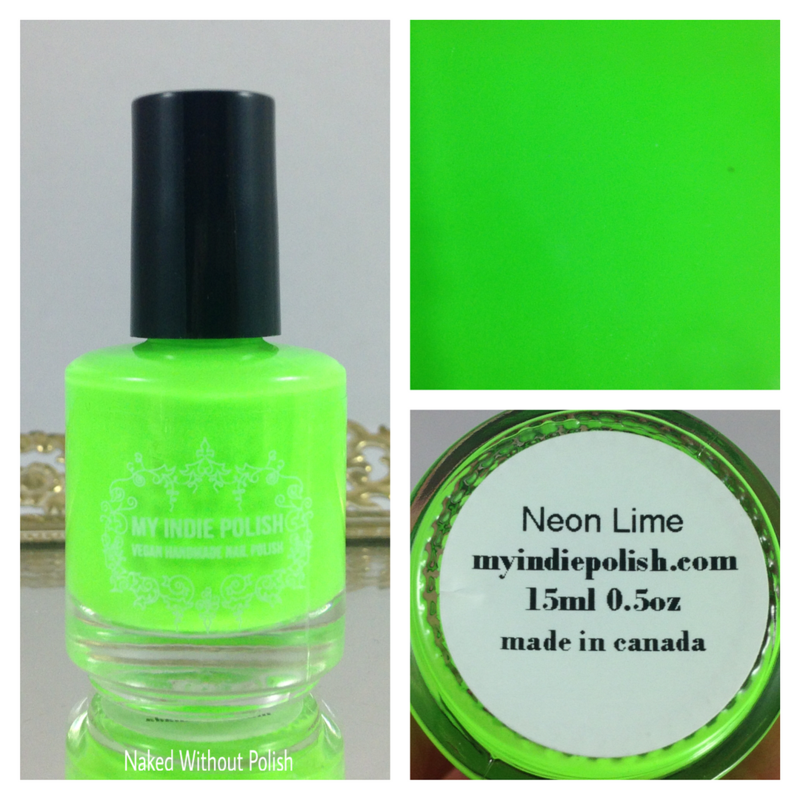 Neon Lime is a vibrant neon lime green crelly. 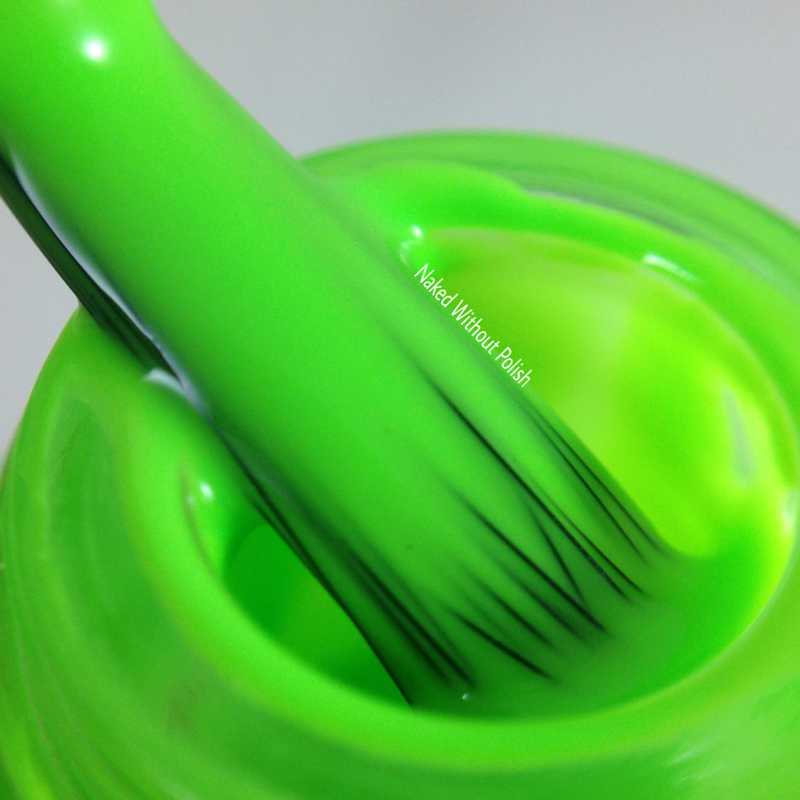 Shown is two coats of Neon Lime with top coat. Neon Lime was a dream! 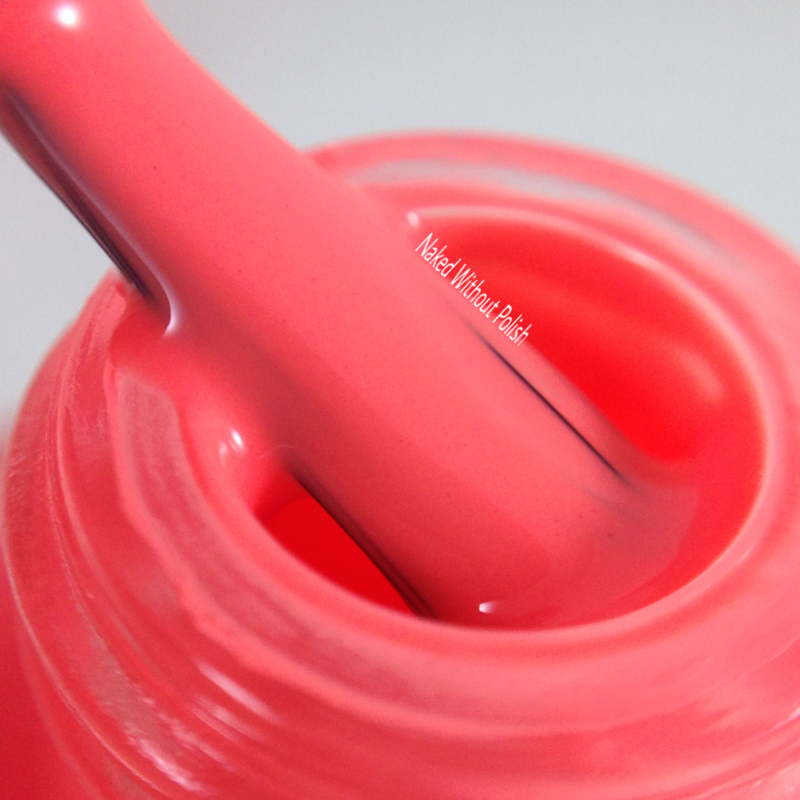 Two perfect coats to full opacity. No white base needed. You'll fall in love with how bright this beauty is. 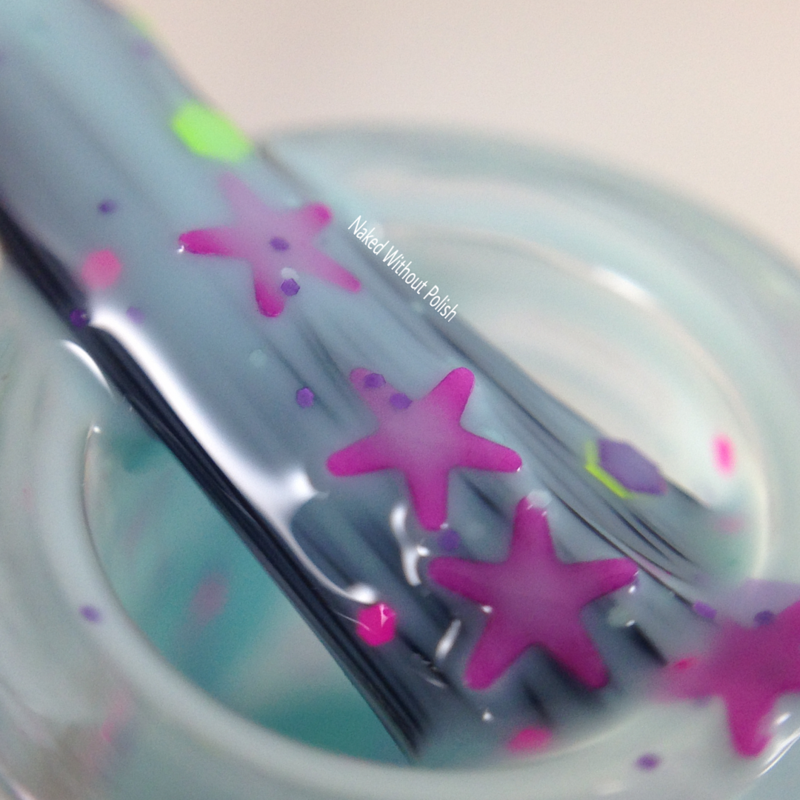 Field Party is a lovely powder blue crelly with matte purple stars, and neon hexes in several sizes and colors. Shown is three thin coats of Field Party with top coat. Field Party is definitely a party in a bottle. I love the size of stars she used. They weren't difficult to get out of the bottle, and they weren't overwhelming on my nails. This one could easily be a two coater, but I did three thin coats to get the layered effect with the glitter. I love how it turned out. Definitely a lot of fun. 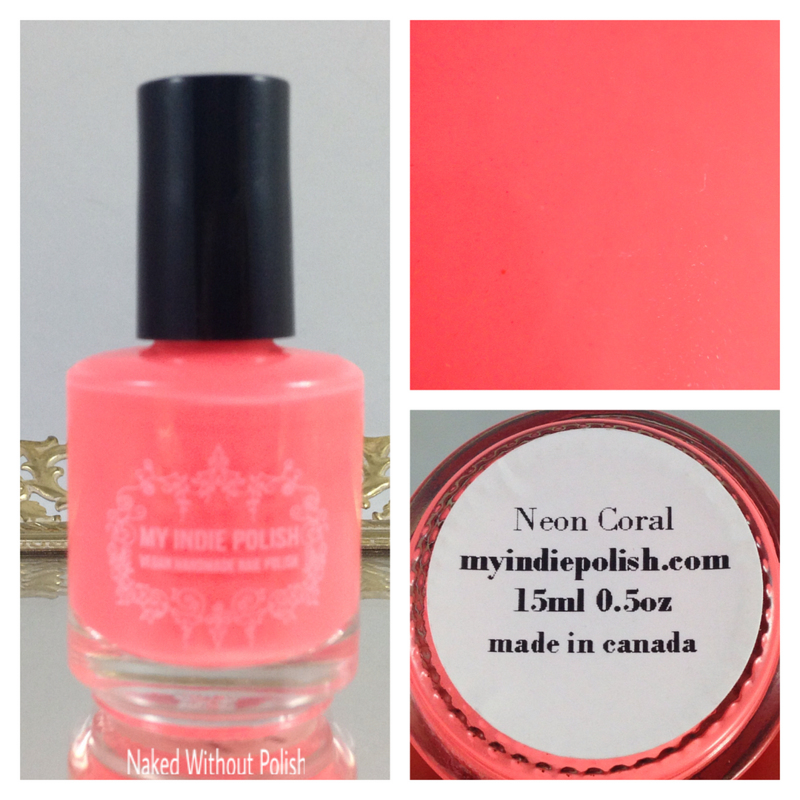 Neon Coral is a bright neon coral crelly. 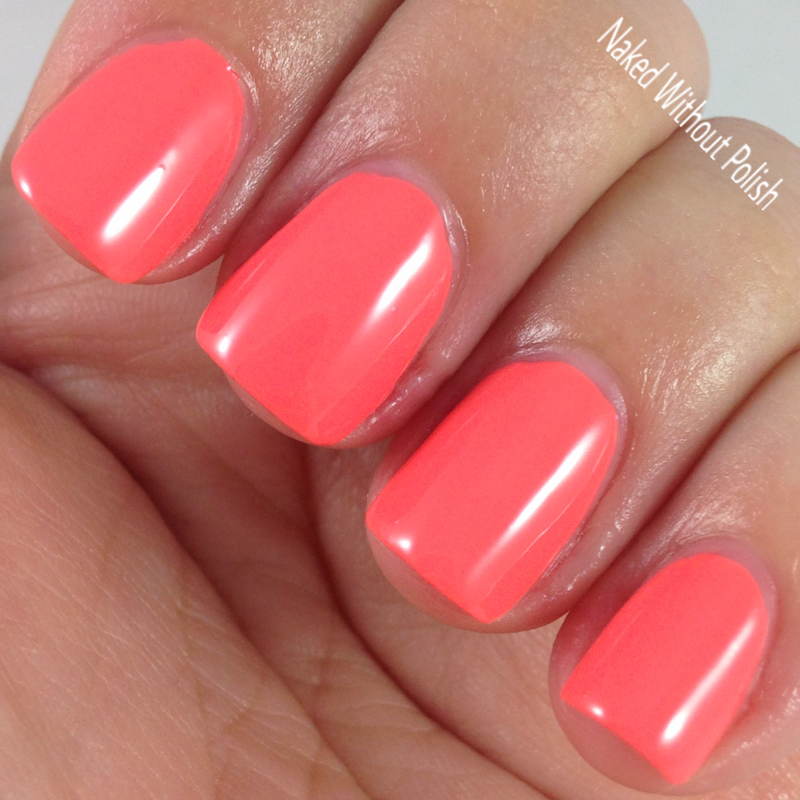 Shown is two coats of Neon Coral with top coat. Neon Coral had me craving strawberry Starbursts. It's such an incredibly juicy color. A little streaky with the first coat, but evened off nicely after the second. I think this will officially replace Flip Flop Fantasy for me. There you have it! 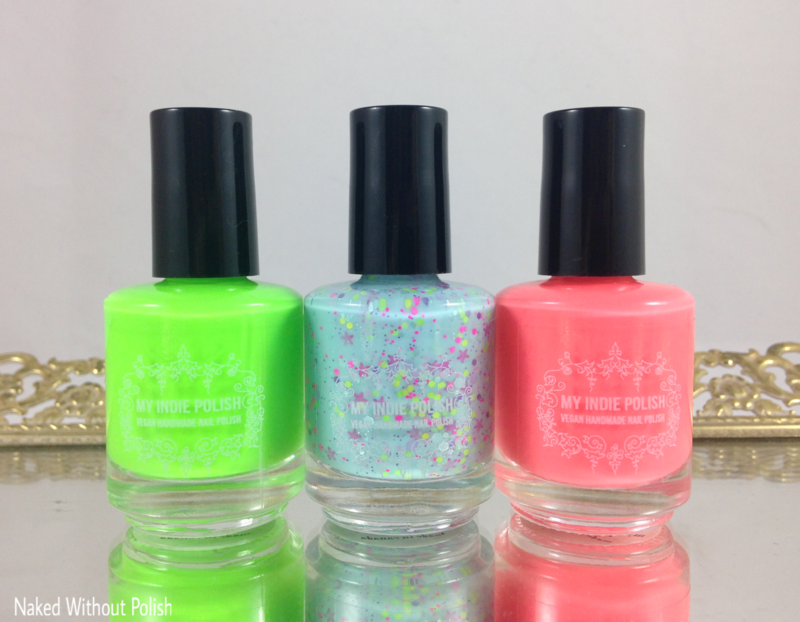 the gorgeous Neon Festival Trio from My Indie Polish. They are all available now at www.myindiepolish.com. 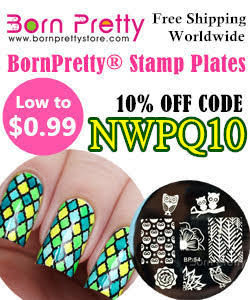 Individually they are priced from $12 to $13, but you can also buy them as a set! The full set of minis is $22 with free shipping, and the full set of fulls is $37 with free shipping. 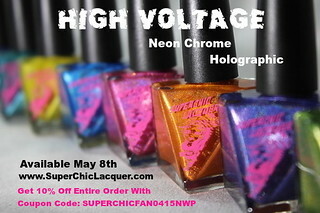 If you're craving some neons, but don't feel like you need 27 different ones, this is perfect for you! Go get your own set now! Make sure you are following My Indie Polish on all of her social media platforms (links below) to stay updated on news, sales, and releases. What do you think about this collection? Any of these catch your eye? Personally, I'd love a full collection of neons with this incredible formula. 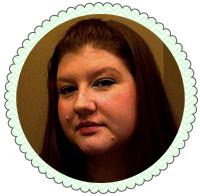 She was such a tease with the two shades, but I do love it and will be using these a lot!